Have you ever wanted to leave behind your job, school, or even technology for a little while? If so, then a camping trip with the family is the perfect escape! 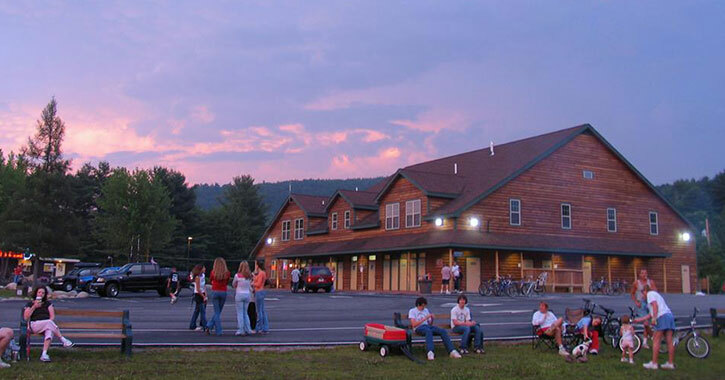 Near Lake George, NY, the premier Adirondack camping resort is the award-winning Lake George Escape in Diamond Point. Not only have past campers voted them the Best Campground in the Lake George Region for four consecutive years (2015, 2016, 2017, and 2018), but they've also received the award for Best Exceptional Amenities twice (2017 & 2018). For a preview of what makes this campground truly special, we've highlighted the top 7 reasons you should choose Lake George Escape as your Adirondack camping destination! 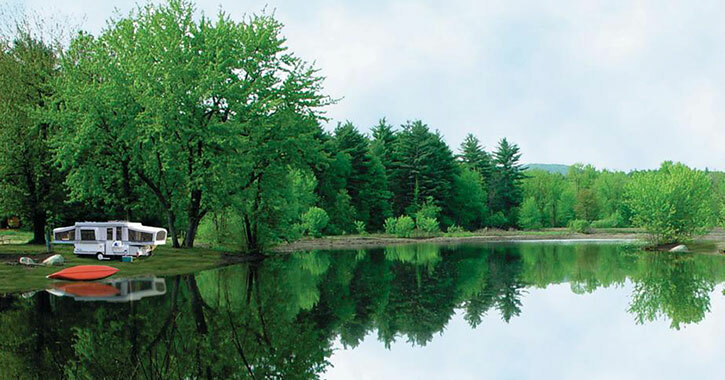 Nestled in the Southeastern Adirondacks just a short drive from Lake George, the “Queen of American Lakes,” Lake George Escape is a 178-acre camping resort full of lush green meadows, towering trees, a winding river, and three unique camping options. What makes Lake George Escape truly special is the way it brings together families and nature. Many families have stayed at the campground resort and spent time simply enjoying the great outdoors - no cell phones required. From tubing down the river to playing ball in the park, there are so many activities to do on site with the people in your party that you won’t even think about the distractions and stress of everyday life. Remember those premier camping options we mentioned above? Well Lake George Escape features three types of accommodations, and each offers a different camping experience. Whether you’d like to park your RV among the trees, stay in a private Adirondack log cabin, or even sleep under the stars in a traditional tent, there is a spot for you! The RV sites at Lake George Escape will make you feel like you’re in the Adirondack wilderness. Some are located near a brook or stream, and others are in the shadow of trees. These sites don't just include water and electricity, but many offer full hook-ups, ensuring you’ll have a comfortable stay. If you want to go camping the old-fashioned way, then a tent site is the option for you. 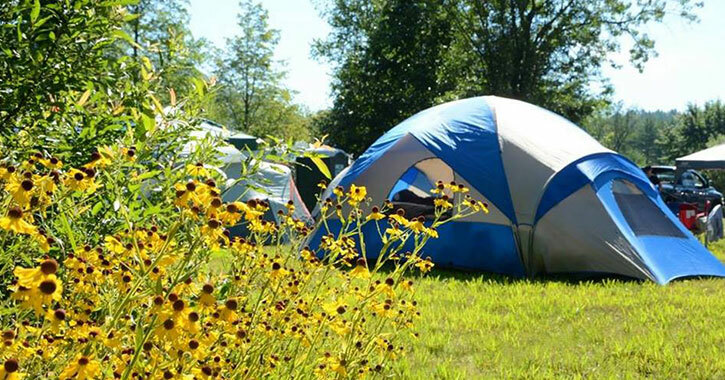 The campground has multiple tent sites to pick from; there are wooded, waterfront, and even motorcycle-friendly ones, all within walking distance of the resort’s amenities. Looking for a little extra comfort? Don’t own a tent or RV? Reserve one of Lake George Escape’s 55+ on-site park cottages and log cabins. These rentals can accommodate a group of four to six guests and offer all the amenities you may need during your stay, such as full kitchens, a bathroom with shower, cable TV, and more. Who Needs the Lake When You Have the Schroon River? Although Lake George is arguably the region’s most beautiful lake, the nearby Schroon River is one of, if not the most, scenic and cleanest rivers around. Best of all, the river flows right alongside Lake George Escape, giving campers easy access to this natural attraction. 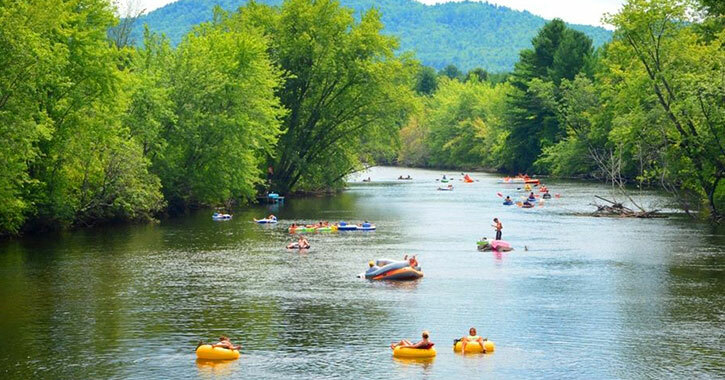 So now you may be wondering what there is to do on the Schroon River? The answer is a lot! While you can relax and go swimming at the beach or fishing along the shoreline, many campers plan an adventure out on the water. Canoeing and kayaking are both possibilities on this river, as well as tubing. Take advantage of this great opportunity to try a new water sport; canoes, kayaks, and tubes are all available to rent from the campground for a small fee. 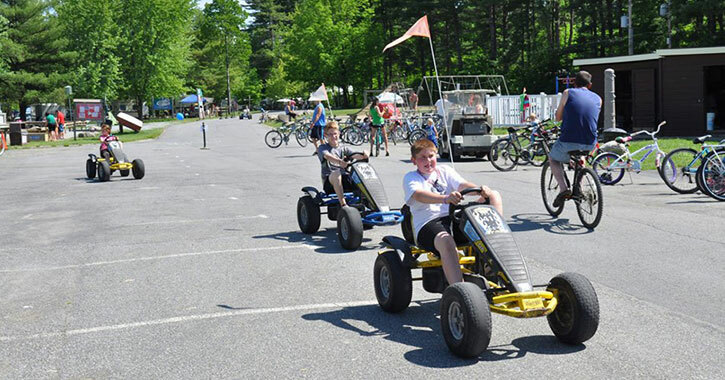 As an all-inclusive camping resort, Lake George Escape offers campers so many different things to do right on site. 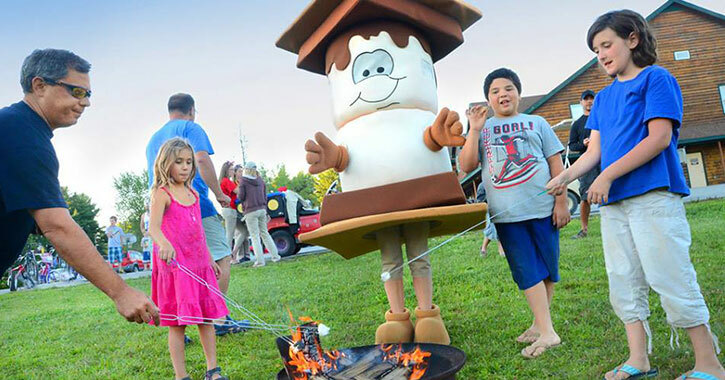 The campground’s professional, full-time Activities Staff helps lead the fun from late June through Labor Day weekend, such as wagon rides, gem mining, sports and games, Friday night s’mores and bonfires, and more. Plus, while those are all great ways to bond with the family, you can also create your own fun. There is a heated pool where you can take a dip, water slides, a playground for the kids, a gigantic dog park for your furry friend, an arcade, pedal carts - the list goes on and on! Having trouble deciding on the best time to bring your family camping to the Lake George area? Lake George Escape is here to help! Each week from mid-May through early October, the resort presents a theme week featuring a special blend of on-site events and activities. Campers are welcome to take part in the theme weeks, as they are fantastic opportunities for the family to have fun together and make some new campground friends. Some theme week examples include Halloween festivities in the heart of summer, a Patriotic Country Fair over 4th of July weekend, and the property’s own version of the World’s Largest Garage Sale. The theme weeks change year after year, so both new and returning campers can always look forward to something different. Check out this year’s schedule, find a week that sounds especially fun, and shape your vacation plans around it! Why leave the campground when you can enjoy a delicious meal, drinks, and live entertainment right by your campsite? 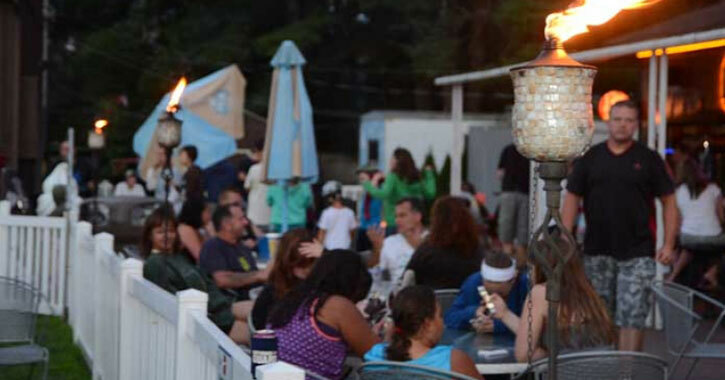 Lake George Escape’s restaurant, Dan’s Riverside Pub & Grill, is the perfect afternoon and evening hangout spot. The restaurant specializes in an array of eye-catching food delights, and you can order up a great selection of drinks from the full bar. During part of the camping season (end of June - Labor Day), there is a DJ and nightly entertainment; in spring and fall, there is weekend entertainment. 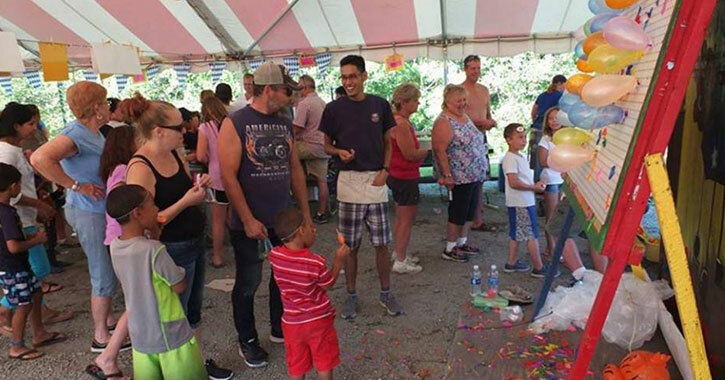 To give campers the opportunity to create memories that will last a lifetime, the staff and management at Lake George Escape work hard each year to improve the family-friendly property. 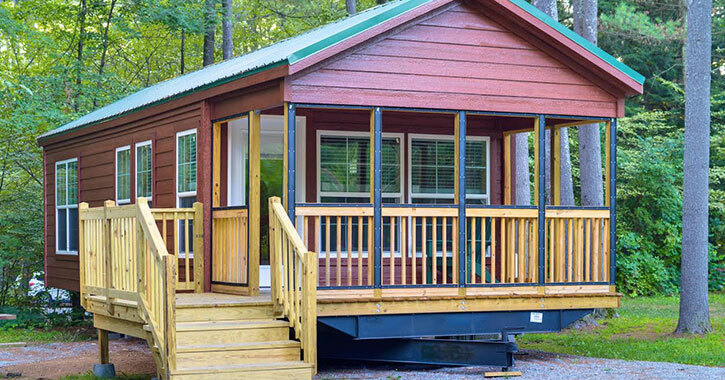 From purchasing state-of-the-art camping cabins to expanding their amenities (including a 40' laser tag arena), the campground takes pride in providing their guests with unique experiences they won't find anywhere else in the area. In recognition of being a top camping destination, they've received high ratings from travel guides and multiple Best Of awards over the years, including the 2017 TripAdvisor Certificate of Excellence. There are plenty of reasons why you should choose this Adirondack campground. However, if you'd really like to see what Lake George Escape is all about, then make your plans for a camping trip today!